Our next contest starts today April 6th and runs until midnight EST on May 17th. 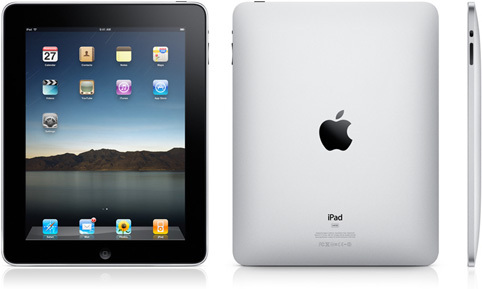 Here are the specifics: We are giving away 2 iPads. 1st place receives a 32GB version and people who finish in 2-10th will be put in a drawing to receive a 32GB version. How can you win or qualify? All you need to do to win is collect the most knowledge points between the dates listed above. To earn knowledge points you can Ask questions, Answer questions, discuss questions, getting your answer selected as an accepted answer and approving answers. Keep in mind that we will be reviewing all activities and deducting knowledge points to any posts that do not add value or help the member asking the question. So let the fun begin. Post any Enterprise IT questions you have and answer unanswered questions that exist on the site: Error messages you are receiving, product selection advice needed and anything else. Also spread the word and have your friends post questions that you may have the answer to. We will be having special ways you can earn additional knowledge points so sign up for our twitter feed @ITKE to get the announcements. If Apple can ship an iPad to you then you are eligible for this contest. I remember the kid on my block who would have all the neat little gadgets when I was little. Now I'd like to smash that little bastar*, iPad or not! Two things - I see that the initial posting refers to New Members - but there is nothing I can see above that mentions this. Is there any limitation based on length of association in ITKE? The other thing I noticed is that while I am trolling through the Unanswered Questions, looking for something I can add a response to, I often find that there already was a prior reply?